DAVIGNON is an Atelier that specializes in all aspects of Custom made garments, custom shirts, formal wear as well as custom tailored outerwear for both Men and Women. For over 12 years now I have been dedicated and enamored with the process of creating a singular garment that is the culmination of conversations, measurements, beautiful fabrics and luxurious details that become the manifestation of your Sartorial presence, to me, there is no equal. A wardrobe assessment is the beginning of my process and one of the most crucial investment you can give yourself. My Analysis of the garments that compliment you and your lifestyle must be able to inspire you to reinvent who you are daily. That is the foundation of an incredible style. Your demanding lifestyle no longer can afford to be ill advised and waste time and money on garments that do not deliver consistently on your vision. By collaborating, we can curate a comprehensive new list of garments, optimizing the pieces that still bring you pleasure and alleviating the ones that no longer enable this vision. We embark on events that shape our lives, memories and feed the soul. Navigating through formal wear possibilities is overwhelming and daunting, however those are details that are so crucial to achieve the look that will later be captured and preserved. Trusting someone to attend to these details should never be given lightly. 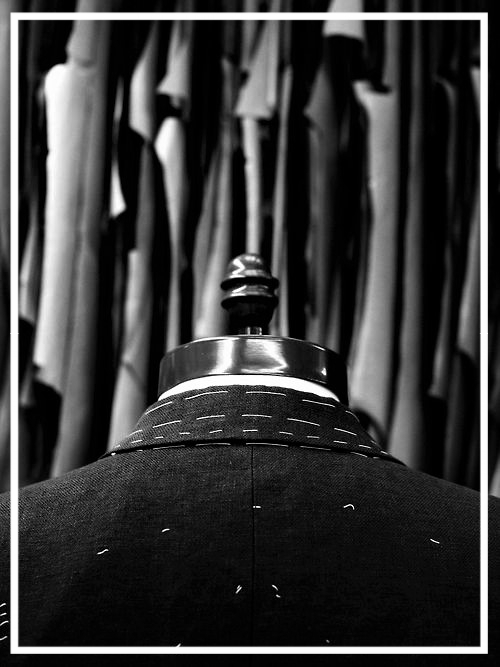 I will ensure that on that day your tailored custom DAVIGNON garment will express both your sophistication and whimsical self and all the details of your outfit will be seamlessly in place and ready to be immortalized. Standing the test of time, that is a true cause for celebration. Building a business and your own personal brand requires so much effort that sometimes it’s the little details that come across the loudest to our clients. Trust is often the first thing we ask for blindly when establishing a partnership but how is our image perceived in order to advance that trust. Allow me to assist in making an incredible first impression for your patrons and establishing the office culture that will be part of your brand identity. Easing one more burden while you continue to create growth and engage in long lasting relationships knowing that your vision is properly reflected. Photoshoots, weddings, commercial stills & videos, social media content all require brilliant creativity and execution. The whirlwind of preparation often distracts us from capturing the moments. If executed with excellence, crucial details will not need and often cannot be retouched. My passion has been in executing the specifics that often are not seen. Allow my attention to the details guarantee these come to life and elevate your moments with perfection. New beginnings are exhilarating and terrifying at the same time. A new venture, transitioning to an original purpose or discovering a greater life’s challenge. These opportunities must be sartorially curated to distinguish you from the crowd in this new world you are entering. Allow me to completely prepare your new image and confidently make an enduring first impression in your upcoming encounters and conversations that will determine your brilliant future.